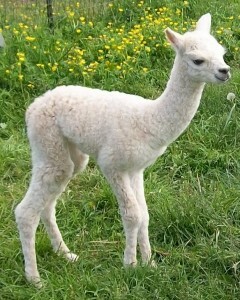 Our lovely Sugar Cookie gave birth on May 17 to our first cria of 2011. 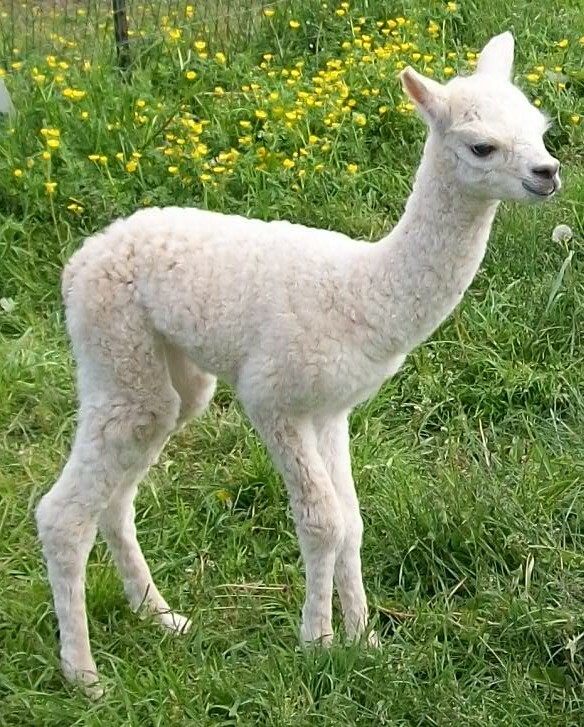 This was Sugar Cookie’s first cria and also the first cria from our award-winning herdsire Lord Tennyson. 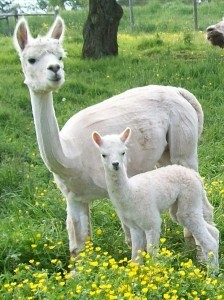 Their cria is named Tennyson’s Milton of Peaceful Heart. Milton was born during our wet and cold weather, so we moved he and his mom into the barn to dry out and hopefully avoid the worst of the weather during his first days on the farm. 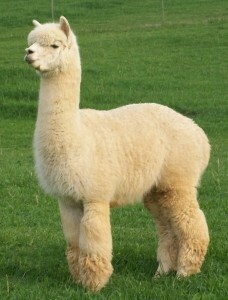 They are now in the front pasture with the rest of our moms who are due in spring.